Cloud literally means storing your data on the internet. Could is simply a much better way of calling a separate process or term. Imagine calling a particular process as Internet Computing instead of Cloud Computing, which term sounds better? Most of you would have chosen Cloud – it sounds good! Over the year Cloud technology has grown many folds. But what should you choose; Cloud or Server? No need to scratch your head, simply read on. The answer to that question will mostly be based upon your requirements and the kind of data you’re dealing with. Some kind of data is better stored on the local server while some data are better off on the cloud. Although server technology require most investment than cloud, Information security and the challenges that it brings along makes you think otherwise. This is especially true when it comes to Customer Information. When it comes to security of Customer Data, there can be absolutely no compromise. Cloud and Server – both have its advantages and disadvantages. Like I mentioned earlier – what you choose is going to be need-based. Looking down at your basic requirements and what direction your business will head to have to be examined. Large corporations can invest in their own cloud infrastructure or Server technologies as they have the resources and the finances to cater to such large server farms. But, for small and medium corporations it’s not an easy choice. 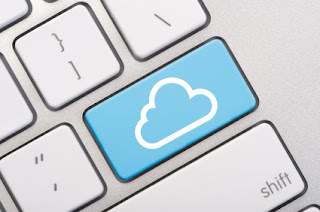 Cloud computing saves you ample of money. Over the course of time you have to invest in some local server technology as well since there are times when both may go hand-in-hand. This can be best explained if the data is pertaining to financial records of the customer or some sensitive information like credit card details, customer information, etc. Unimportant data can be managed on the Cloud. A large corporation can easily manage dedicated server farms or server rooms that cater to service the tasks the corporation specifically deals with. Small and Medium business will find Cloud computing easy on the infrastructure and taking lesser stress on the companies’ investments for a dedicated infrastructure. A local server room offers many advantages as well over Cloud. In-house server rooms have their own dedicated IT team to address security issues almost immediately. On-premise severs have customized security systems that can be well handled by the IT team. The debate still continues on what are safer Clouds or On-premise servers? Could technology have to constantly update their security systems and plug all vulnerabilities to make sure there are no breaches. On-Premise Sever technology on the other hand has dedicated staffs –IT teams to take care of their systems. Both of the above technologies are adept in handling the requirements for data. The choice falls down on business needs. Most small and medium businesses find Cloud technology better than on-premise due to the fact it involves less investment. When a corporation is cost-cutting and bringing down non-essential expenses – Cloud makes more sense. So you might want to give it a thought to make sure you’ll be benefited in the long run. You can take a look at the table below which distinguishes between the two, it’s not a comprehensive list but it should give you a fair idea. We are Hiring - Apply Now! © Copyright 2011. Panoramic Universal Limited. (Best viewed in 1024 x 768 resolution). Watermark theme. Powered by Blogger.